TEXARKANA, Texas (CN) – Twenty-eight people claim in a federal antitrust lawsuit that Lyme disease victims are being forced to pay hundreds of thousands of dollars for treatment because health insurers are denying coverage with bogus guidelines established by their paid consultants, who falsely say the disease can always be cured with a month of antibiotics. Suffering from migraine headaches, an irregular heartbeat, hearing problems and nerve pain, lead plaintiff Lisa Torrey says in the lawsuit filed Friday in Texarkana, Texas federal court that she visited 36 doctors, some of whom misdiagnosed her with multiple sclerosis and fibromyalgia and said her symptoms “were all in her head,” before she was properly diagnosed with Lyme disease. People get the disease from the bites of infected ticks and many break out with a large red rash around the bite that looks like a bullseye. 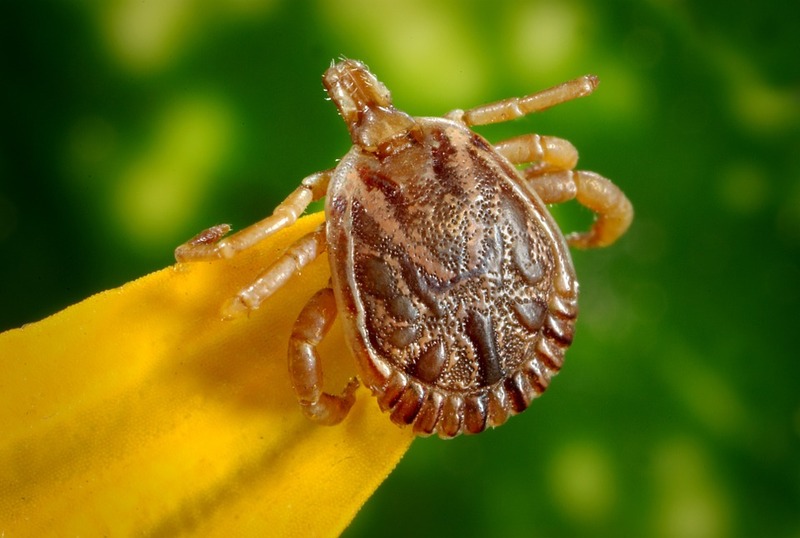 There were more than 28,000 confirmed cases of Lyme disease in the United States in 2015, 95 percent of which came from 14 states in the Northeast and Midwest, according to the Centers for Disease Control and Prevention. The agency estimates that 300,000 people are infected with the disease each year. Torrey – represented by lead attorney Eugene Egdorf with Shrader & Associates in Houston – lays part of the blame for her lack of health insurance coverage on the Infectious Diseases Society of America, or IDSA, a medical association whose 11,000 members research diseases and lead panel discussions about them. IDSA also develops clinical practice guidelines. Torrey claims in her lawsuit that several major health insurers decided in the 1990s that treating Lyme disease was too expensive and bad for their bottom lines, so they paid IDSA-affiliated doctors – who were researching, not treating, Lyme disease – to establish arbitrary guidelines in 2000 that said the disease could be treated with 28 days of antibiotics. “These doctors knew that short term antibiotics of twenty-eight days failed to treat up to 40 percent of patients with Lyme disease. This means more than 100,000 Lyme disease patients every year would be untreated if the IDSA guidelines were followed,” the lawsuit states. Torrey sued the IDSA, Blue Cross and Blue Shield Association, Blue Cross and Blue Shied of Texas, Anthem Inc., Aetna Inc., Cigna Corp., Kaiser Permanente Inc., United HealthCare Services Inc., UnitedHealth Group and several medical doctors. In addition to attorney Egdorf, Torrey and her co-plaintiffs are represented by Ryan Higgins with Rusty Hardin & Associates in Houston and Lance Lee in Texarkana. Torrey claims that she and others suffering from chronic Lyme disease need antibiotics for several months until their symptoms go away, but that the IDSA doubled down in 2006 and once again tapped doctors on the payroll of the defendant health insurers to come up with even more restrictive guidelines for treating Lyme disease. Torrey says the insurers began working with Sigal to deny Lyme disease coverage in the 1990s. Sigal testified in a 1996 deposition that the defendant insurers paid him $560 an hour to review Lyme disease files for them and that he almost always denied coverage, according to the complaint. Torrey claims doctors who criticized the guidelines as too restrictive put their medical licenses at risk as they were targeted by the insurers. “As a result of their speaking out, from 1997 to 2000, more than 50 physicians in New York, New Jersey, Connecticut, Michigan, Oregon, Rhode Island and Texas were investigated, disciplined or had had their licenses removed. Many of these doctors were reported to their medical boards by the insurance defendants,” the complaint states. The insurers also allegedly reported doctors who were treating chronic Lyme disease to state medical boards, leading many doctors to refuse to treat Lyme disease patients. The results of the treatment guidelines and doctor bullying have been disastrous for Torrey and her co-plaintiffs, she says. They’ve been forced to travel long distances to find doctors willing to treat them, if they are healthy enough to travel, and pay thousands of dollars out of their pockets because doctors do not want to submit their claims to insurers, the complaint states. Torrey says she suffers every day from the disease that can kill its victims. Other plaintiffs are suing for the estates of Al Barnes, who developed paralysis before dying from untreated Lyme disease, and David Kocurek, who was an aerospace engineer and worked for NASA. Kocurek suffered from symptoms akin to the trembling and jerky movements caused by Parkinson’s disease. Kocurek paid for his treatments and died from the disease in April 2016. Torrey and her co-plaintiffs seek treble damages for RICO Act and Sherman Act antitrust violations. To back their RICO claims, they say the insurers formed an enterprise rife with mail fraud and wire fraud with the IDSA and its panelists, by mailing fees over state lines to the panelists to pay for their allegedly fraudulent Lyme disease treatment guidelines. IDSA spokeswoman Jennifer Morales declined to comment on the lawsuit, but defended its Lyme disease guidelines in a statement Tuesday. “While anecdotal evidence may be relevant at times, it cannot be the basis for guiding patient care. The published guideline, ‘The Clinical Assessment, Treatment and Prevention of Lyme Disease, Human Granulocytic Anaplasmosis, and Babesiosis,’ reflects the best information science provided to the broad range of physicians who might treat a patient with symptoms of Lyme disease,” she said. Cigna and Anthem said they don’t talk about pending litigation. The other insurers did not immediately respond Tuesday to emailed requests for comment. The defendant medical doctors are Gary P. Wormser, Raymond J. Dattwyler, Eugene Shapiro, John J. Halperin, Robert B. Nadelman, Leonard Sigal and Allen Steere.